Providing you the best range of vernier caliper calibration services with effective & timely delivery. Instrument tools are widely used in all type of Industries. 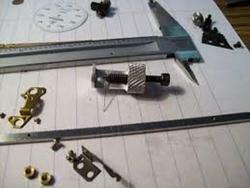 Engineering tools such as Vernier Caliper, Micrometer, Height gauge, depth gauge, thickness gauge, dial gauge, etc are repaired and serviced.